Detroit automaker Chrysler Group could soon be forced to issue an Initial Public Offering (IPO) of tens of millions of shares of the company that are currently owned by the United Auto Workers (UAW) union. The Auburn Hills, Michigan-based Chrysler reluctantly filed the paperwork for the IPO earlier this month after attempts to negotiate a settlement with the UAW over the value of the stock failed. Chrysler is currently jointly owned by Italian automaker Fiat and by a UAW trust fund that pays the healthcare costs for over 130,000 Chrysler retirees. The UAW trust owns 41.5 percent of the Detroit automaker, while Fiat holds the remaining 58.5 percent of Chrysler stock. Fiat CEO Sergio Marchionne has said he wants to buy out UAW’s Chrysler stocks and combine Fiat and Chrysler into one giant company. However, both sides have been unable to agree on a fair value for the stocks that UAW holds. The UAW has insisted that the Chrysler stocks it owns are worth about $4.27 billion. Fiat has noted that the stocks are not worth more than $1.75 billion. The two sides attempted to get the Delaware Chancery Court to arbitrate a fair value for the stocks last year. But, that effort fell apart after the court ruled the matter could only be resolved through a trial. If the Chrysler Group IPO does indeed go forward as scheduled, it will mark the first time since 1998 that the company’s shares have been publicly traded. All proceeds from the scheduled IPO will go directly to the UAW. Industry analysts think that the UAW is pressing for the IPO because it believes the value of Chrysler shares have gone up in value in recent months. Chrysler sales and profits have improved steadily over the past two years. 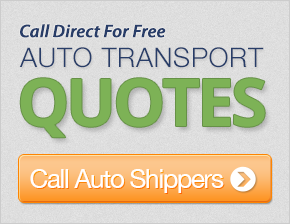 Since declaring, and emerging, from bankruptcy in 2009, the carmaker has reorganized its business, streamlined operations in multiple ways, and focused on delivering new and better quality vehicles. The company has even started using carbon fiber parts in the Chrysler 300, for instance. The results have been encouraging so far. For the quarter ended June 30, Chrysler reported a profit of $507 million on revenues of $18 billion. The figure represented a 15 percent increase over the same period last year. 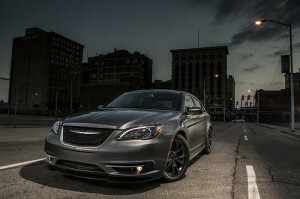 The quarter marked the eight straight one in which Chrysler has reported positive earnings on revenues. The company sold a total of 643,000 vehicles worldwide, a 10 percent increase over the previous quarter. Chrysler’s positive performance comes even as it moves closer with Fiat. The company’s recent performance helped boost Fiat’s overall profits in the latest quarter. Over the long term, Marchionne hopes to be able to use part of Chrysler’s $11.9 billion in cash to fuel the growth of both companies. A full merger of the two companies is expected to result in more streamlined operations and better financial stability. Marchionne has hinted that the integrated company could issue a new stock offering. What remains unclear at the moment is how Marchionne will proceed if the UAW forces him to go through with the Chrysler IPO. In recent media interviews, the fiery CEO has hinted that the Italian automaker might simply walk away from the Chrysler partnership if he is unable to convince UAW to part with its shares for a reasonable amount. If the IPO proceeds, Fiat is also likely to shelve the agreement it has with Chrysler for sharing its technology, engineering expertise and vehicle platforms.